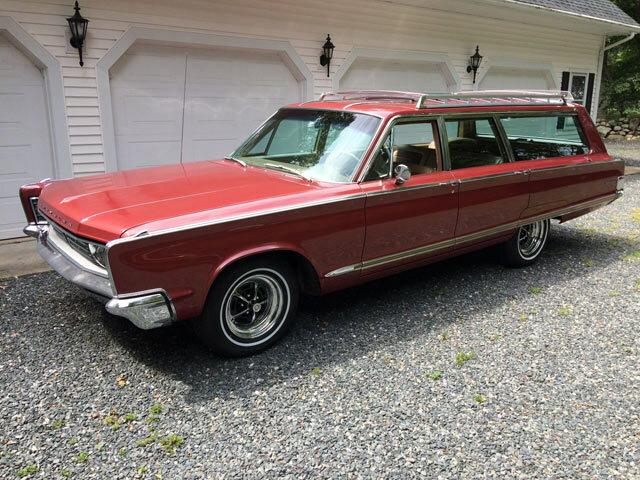 Being nearly 19 feet in length, this Chrysler wagon’s size and roominess is impressive in it’s own right but one the great features in full size American wagons from the 60’s is the expanse of glass that only wagon design can offer. 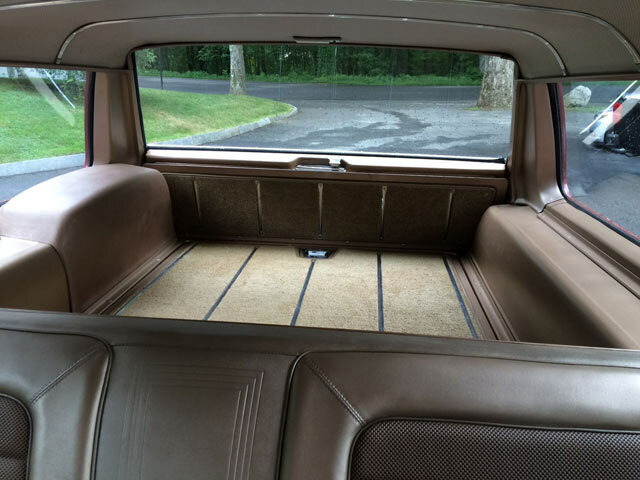 The thin pillars and a nearly unobstructed 360 degree view on this Newport are perfect for the classic American family vacation. 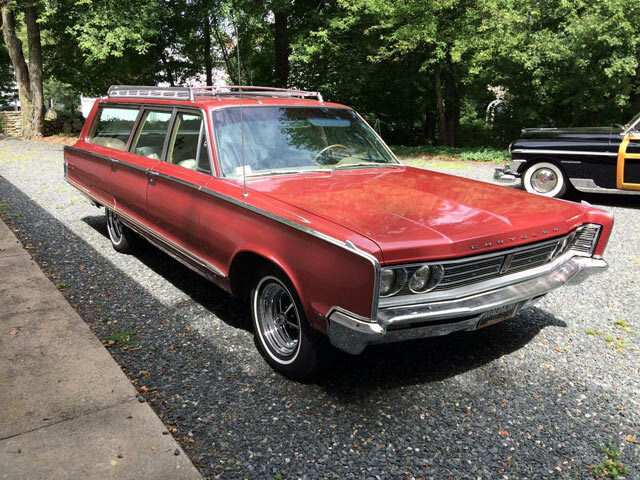 Found on Ebay in Hopkinton, Massachusetts this impressive Chrysler can be purchased for $11,000. 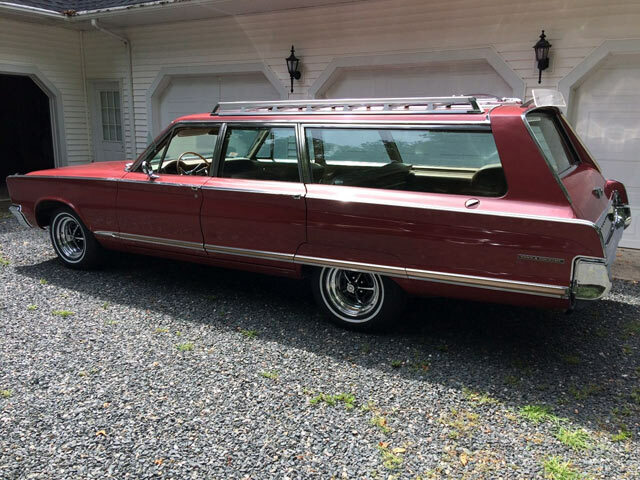 The six passenger Newport Town & Country was priced at $4,177 which was about a 20% premium over the comparable sedan but even the base model wagons came well equipped. 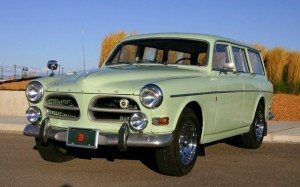 Some of the additional options on this wagon include power windows and cruise control. 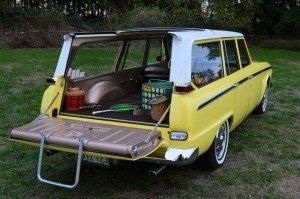 Extending nearly the full length of the roof, this has to be longest roof rack I’ve ever seen on a wagon. 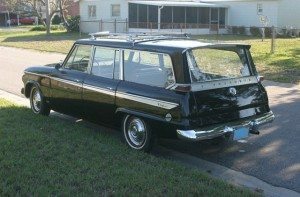 The sporty wheels which have a bit of a Buick look to them help give the wagon a nice sporty look. 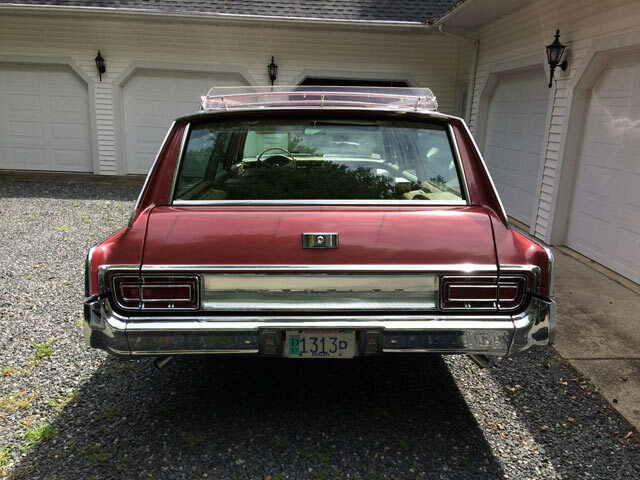 Sold new in Vermont and well maintained from day one, this nearly all original wagon has been kept from the ravages of New England winters. 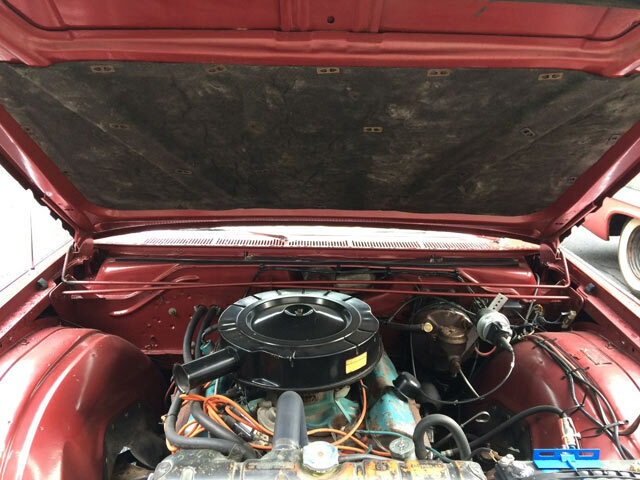 The seller does say that there was some minor rust repair years ago and that there is some minor blistering on the rear quarters. Paint is mostly original but there is no mention of the areas that have been repainted. 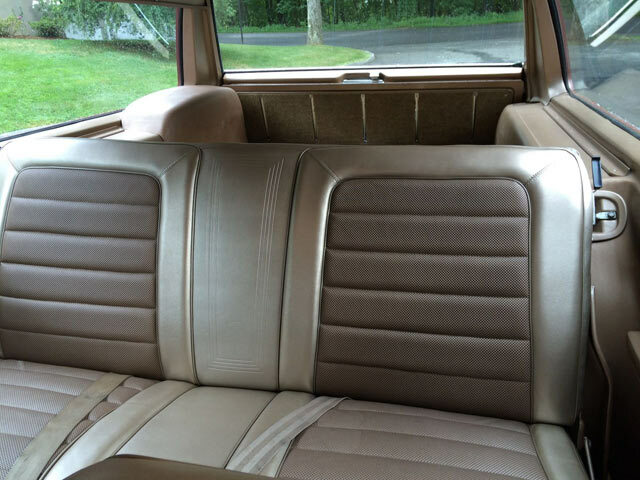 The mileage is listed at 102,000 but you’d be hard pressed to believe it’s that high based on the impeccable original interior. Even the cargo area looks to be in fantastic condition. Powered by a 383 V8, the car is said to be an excellent runner. New radial tires were recently added along with a new dual exhaust. 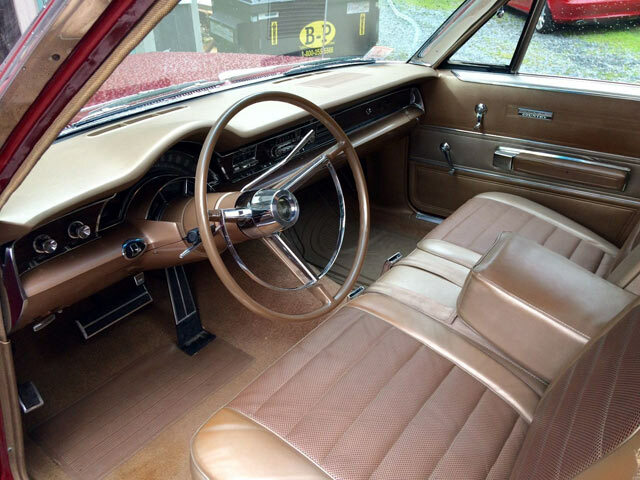 With it’s good looks, originality and a reasonable BIN price of $11,000 this desirable Newport is sure to have a new home soon. 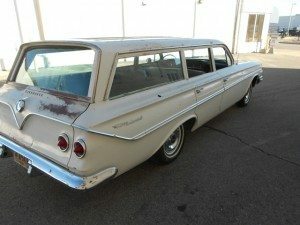 geez, a beautifull wagon. JUst simply fantastic. I would love 2 buy it.